With the recent launch of the Isle of Man’s ‘Make your pound go round’ and the Isle of Man Food Festival approaching its 10th year I thought it would be good to discuss the many pros of buying local. Some people think of local farmers/food producers when we discuss ‘buying local’, but times are ever changing and the Isle of Man is fast becoming a hub for digital and artisan crafts as well as offering an abundance of Manx food and drink. One of the many benefits of using a graphic designer or marketer on the Isle of Man is that they are local. 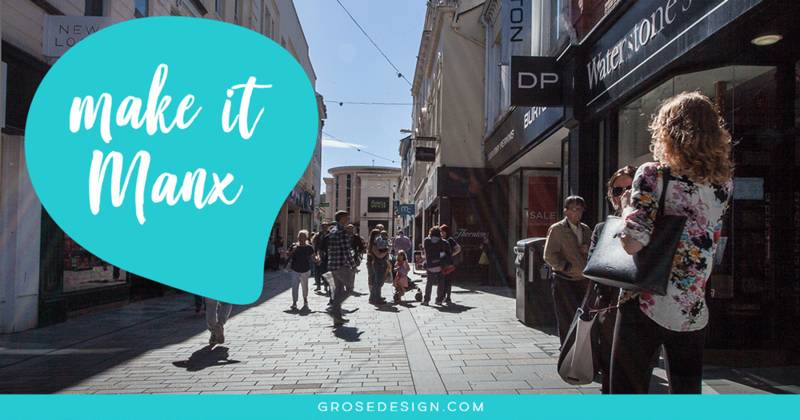 It’s so important to know how the Manx community will respond to any branding, adverts, or social posts your business puts out there. It may be tempting to opt for the deals online, but can a business off island really understand your target audience more than someone living, working and exploring the same community as your potential demographic? Spending money locally can only be a good thing: it helps your business, your neighbours, your community – the list goes on. The Isle of Man Government recently launched their Think Local, Buy Local campaign encouraging people to shop locally, as every £1 spent on the island is worth £1.83 to the Manx economy! Technology has made it incredibly easy to communicate via phone, tablet and laptop but you can’t beat a good old fashioned meet up and a cup of coffee, especially when discussing ideas and designs as it can get confusing or lost in translation over emails and phone calls. We’re incredibly lucky on the Isle of Man to have a wide choice local foody places, cafés and coffee shops to meet and chat over ideas – supporting two local businesses with one stone! When you’re buying something online or booking a hotel, how often do you look at the reviews? Reputation is everything and it doesn’t take long for word of mouth to get around the Isle of Man. Ask around, and see which local businesses people have worked with and the experience they had to give you a true reflection of peoples’ work ethic.